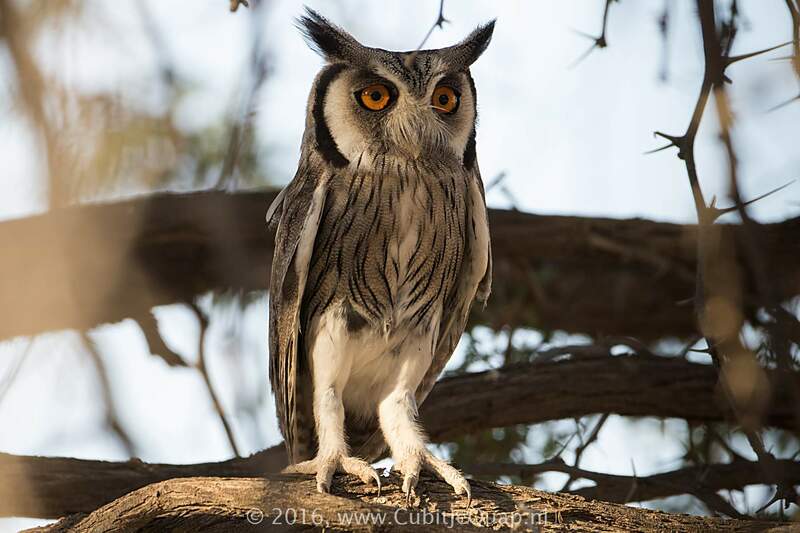 The only other small owl with ear tufts is African Scops-Owl, from which this species differs by its conspicuous, white facial disc edged with black, and by its bright orange (not yellow) eyes. 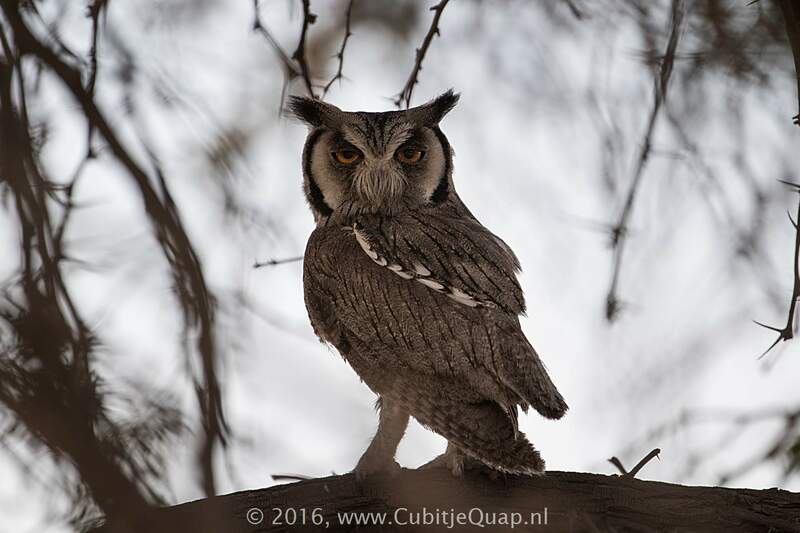 It is also larger and much paler grey than African Scops-Owl. It reaches a length of about 28 cm. Juvenile is buffier than adult, with a greyish face and yellow eyes. Thornveld and dry, broad-leaved woodland. 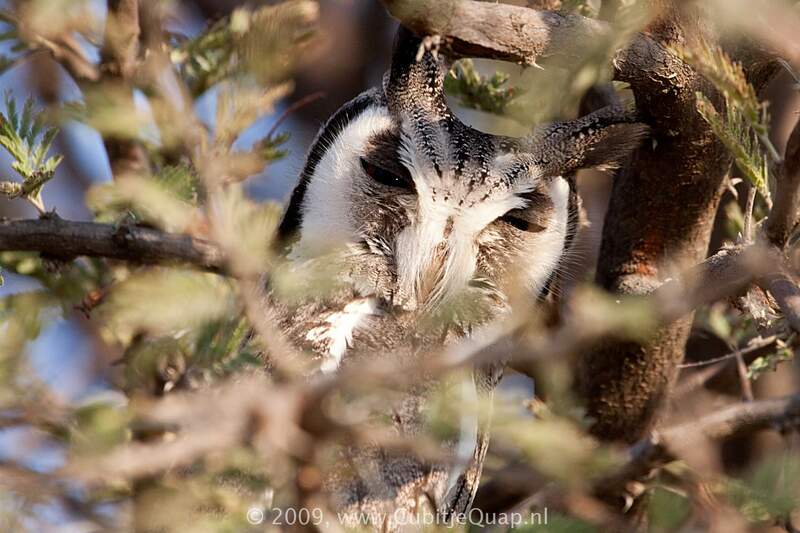 The southern white-faced scops owl usually roosts during the day, depending on its cryptic plumage to avoid detection, it will draw itself up, creating a posture that makes it difficult to spot. It preys on small mammals, birds, reptiles and insects. 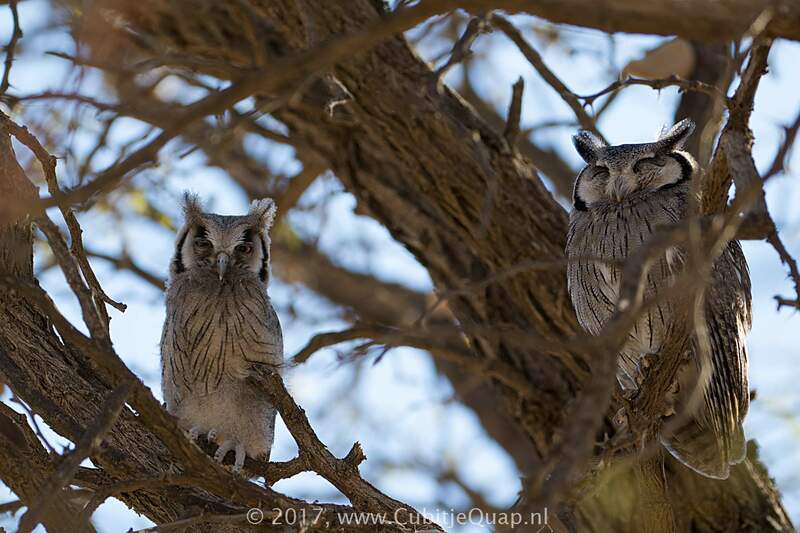 During rodent population 'explosions' in the Kalahari, these owls are known to litter the ground with uneaten corpses of rats and mice, after having gorged themselves full. This owl breeds from May to November, using either the old stick nests of other birds such as goshawks or kites or hollows in trees. One to four eggs are laid and incubated for about a month. Juveniles are fledged with about 33 days of hatching. A fast, hooting 'doo-doo-doo-doo-hohoo' call.